MASSIVE VOODOO: Nova Open 2015 - Special Figure: Kill. Humans. we hope you all had a great weekend full of relaxation and of course with some happy painting time. We had in form of two intense days of happy painting with a full studios as Peter and Andi were joining the local monkey gang in Augsburg. 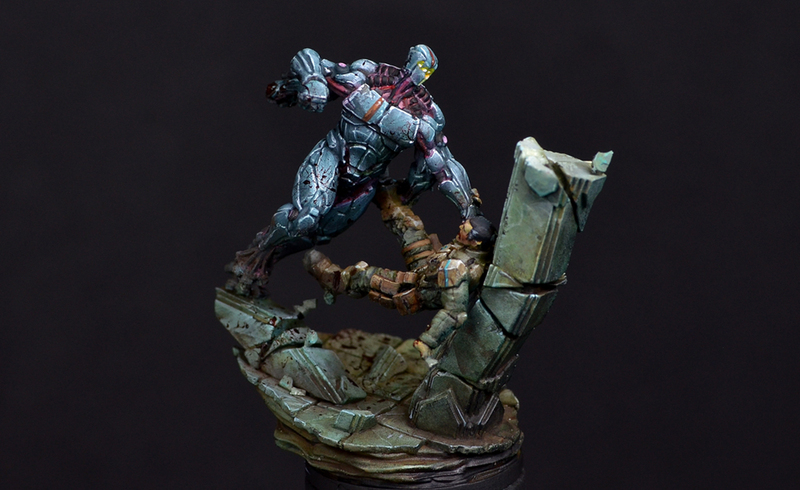 Today Massive Voodoo starts the week with one of Roman's recent paintjobs. 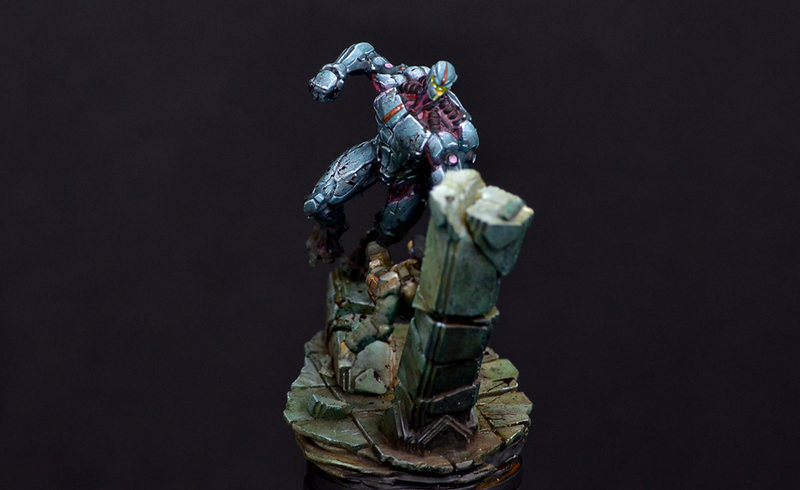 The miniature was the special figure on the last Nova Open 2015. A very cool duel of a human, obviously fighting for his life against a machine robot thingy. The concept of the robot is from Nova's last year event posters and the duel comes in - let's remember - three or four pieces. The wall and the base, it's all included. Roman build it up out of the box and painted it for joy to give it away in the Charity Lottery of this years Nova Open 2016. The figures are actually rather small. In case you need an idea on how small: The head of the human is 50% the size of a casual Space Marine head. Roman had his issues finding a good name for the duel and decided to go a simple way for this issue. What is the Robot's program? Right. Kill. Humans. 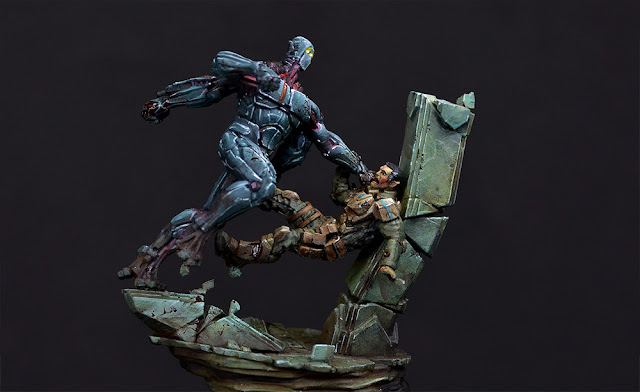 There are 4 Kommentare for Nova Open 2015 - Special Figure: Kill. Humans. I reeeeally like the hightlights on the robot - so shiny! Stoopid hoomans. Robot Zab approves.